The Russian division of Burger King put out one of the strangest ads of all time this week. It was a post claiming that the fast-food chain would present $47,000 and a lifetime supply of Whoppers to women who were impregnated by World Cup players, and it ended with the line, "Forward! We believe in you!" Unsurprisingly, it was quickly taken down and followed by an apology. The post went up on Tuesday on VK, a Facebook-like social network, and was taken down within hours. 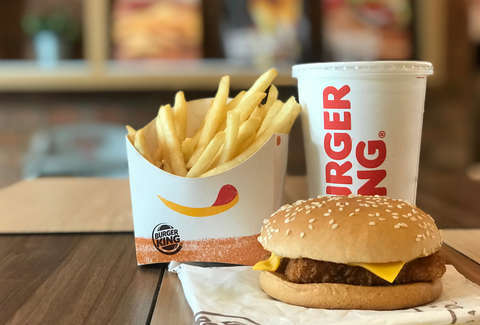 Burger King then posted this statement: “We offer apologies for the announcement we made. It was too offensive." It's hard to imagine how this was approved, but here was are and hopefully we won't be here again? As a Russian ad once said, "Forward! We believe in you!"